Hello. My name is Charlie aka bugdust. I'm in NE Florida, Middleburg to be specific. I have a Stephens Sand Shark on a 65 pan, a Spatz on another 65 pan and a rail buggy. All are projects but the Sand Shark is a driver. 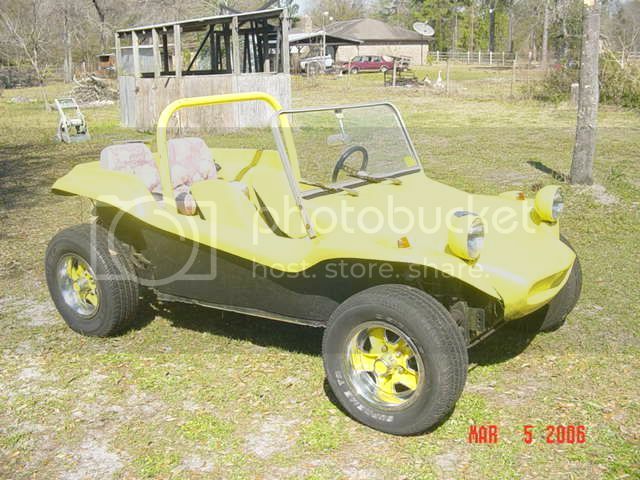 It's a good 50/50 car (looks good at 50 feet or 50 mph) I have a few pics on photobucket.com, search for bugdust69. More later.